Imagination was so much fun for me when I was a kid. I recall growing up in the 1970’s and very early 1980’s and pretending to be superheroes like Spiderman and Batman. I imagined that I was Luke Skywalker or Han Solo from Star Wars. I even pretended to be a guy called Ultraman – Ultraman was a TV show on cable – it was from Japan and often the dialogue was dubbed. Ultraman sometimes fought Godzilla, so that may draw a picture for you what the show was like. I’ve never really liked to go to sleep. Even today I don’t want to go to bed, many nights. I’d rather do something else. When I was young, I of course had to go to bed at a certain time. So I would lay in bed and pretend to be one of the above superheroes. I’d go through scenarios while laying in bed, probably for hours. I recall my dad walking in on me once and I must have been pretending to be fighting a villain while saving the world. He wasn’t too upset but said it was late. I also used to imagine myself as a pilot and business man. I wanted to be a fighter pilot for so many years – long before “TOP GUN” came around. I went to airshows, read books and magazines about planes and talked to pilots. I actually later soloed in a plane before I had my driver’s license. I had about 40 hours in flight when it came time to go get a flight physical so I could proceed toward a private pilot’s license. I found out that my severe color-blindness and astigmatism was pretty bad, according to the flight doctor, and even though I could easily get a private pilot license, it would be very unlikely that I could be a fighter pilot, corporate pilot, or even a commercial pilot. I was pretty devastated. I took a few more lessons but decided that I was just wasting money and gave up on that dream. As I have gotten older, I have imagined other things – a career, things about my marriage, things about my daughters and our relationship, my golf game, remodeling homes, etc. We had a totally unfinished upstairs at our first house – my wife and I used to imagine how we’d finish it. Finally we drew some sketches and then went ahead and did it. Like so many people, we visualized the outcome long before it was done. ….Imagination is so powerful. It is pretty fun too. Just think about it – basically everything in our world; homes, buildings, books, movies, amusement parks, hospitals, songs, art – everything happening in some way or another in someone’s imagination first….then it became real. Think about Disney World and that great empire….even if you aren’t a fan of going there it is a wonder of achievement and making dreams happen. Imagination can be our friend or foe. Worrying is a form of negative imagination. If you sit around and worry, you are imagining bad things. Just as you can create an idea about remodeling, then make it happen, you can create a situation that involves stress, anxiety, fear, anger – and it too can happen. Imagination; paired with the right emotions and a strategy, can help you achieve anything! When was the last time you had some fun and imagined a bit. Take a moment and imagine – almost like you were a kid. Maybe you want to think about your golf game, a relationship, your career, or just something crazy and fun. Take time and do it. Below is from Wayne Dyer at www.waynedyer.com. He shares his thoughts about imagination……. While visualization isn’t a value like some of the Words to Live By, such as “honesty”, I still know that it is a key Word to use in daily life. For a long time I wanted to visualize more often and struggled with it. I was always concerned I wasn’t doing it right and probably even held off because I thought I would ‘do it wrong’. Then I read one simple passage about it in a book and realized that any visualization is helpful. So I now try to do it often in different ways. First of all, let’s all realize and agree about an example of ‘bad’ visualization: Worry. When you worry, you typically picture – or visualize – something going wrong, right? Well, guess what, you’re reinforcing that image in your mind. You are physically creating the chemical and biological connections that could make that negative thing more likely. I read once that “worrying in like praying for bad things to happen”. I think that society has taught us – especially my mother’s generation and many mothers in our country – that if you don’t worry, you don’t care. I know so many women that feel that worrying is a necessity if you have a family. Some feel that if you don’t worry, you aren’t as good of a mother. I say all that is wrong. Visualizing is a form of praying, I believe. When we pray for someone that is sick or in need of help in some way, we want them to get better or find themselves in a better situation. We often pray for help and guidance in our own lives. Visualization is very important. Regardless if you believe in the Law of Attraction, the Secret, or anything spiritual, there is so much scientific support for it. I think that schools should teach it. If you talk with any coach or athlete at a good college program, in the Olympics, or a professional athlete, they all use visualization. Arnold Palmer, Michael Jordan, entire teams of players. Olympic Swimmer Michael Phelps was taught by his coach to “play the tape” each night and morning. That meant to play the mental tape, like a video, of him swimming and winning. Michael Jordan: used visualization to become arguably the greatest basketball player in history. Jack Nicklaus has won a record 18 professional majors and is considered the best golfer in history. He has described how he used visualization extensively to help him prepare and win at golf. Tiger Woods was taught how to use visualization and imagery when he was a boy by his father, Earl. Tiger visualizes exactly where he wants the golf ball to go. Tiger Woods uses visualization to become one of the best, if not the best, golfer in the world today. 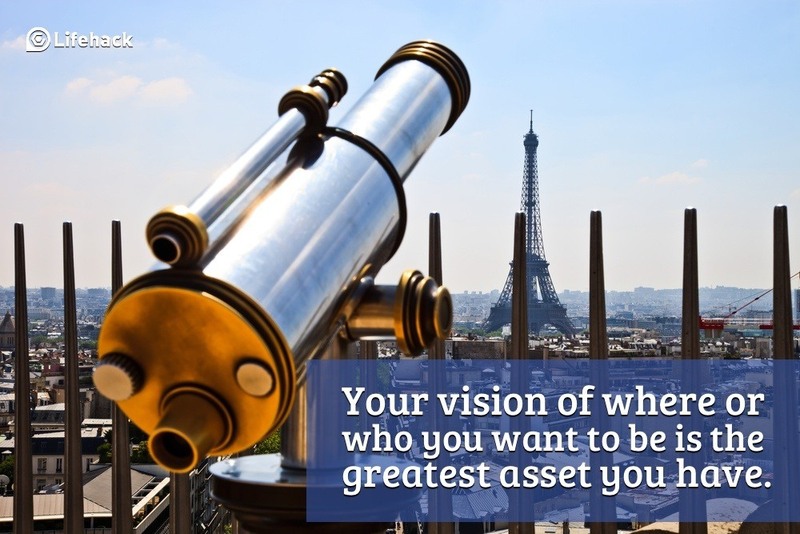 So many great business people use imagery and visualization. They use it for business meetings, presentations, specific events and also for the big picture strategies. Many people believe that we can attract things with our thoughts. You may believe that we are connected to God, the Universe, to the Source. Many people believe that thought is energy, especially a concentrated thought laden with emotional energy. Perhaps thoughts change the balance of energy around us, and bring changes to the environment in accordance with them.Visualization initiates or triggers the Law of Attraction, many say. Others provide a different explanation why visualization brings results. It may come as a surprise to most, but the theory of “Maya” – Illusion, which comes from the eastern philosophies, provides the explanation. According to the Indian philosophy “Advaita- Vedanta”, which is called “Nonduality” in the West, the world is not real, but only an illusion, created by our thoughts. Since most people think and repeat the same or similar thoughts often, focusing their mind and thoughts on their current environment, they create and recreate the same sort of events or circumstances. This process preserves the same “world” and status quo. It is like watching the same film over and over again, but we can change the film by changing our thoughts and visualize different circumstances and life, and in this way create a different “reality”. For us, it is a reality, though in fact it is just a dream we call “reality”. experience that resembles perceptual experience, but which occurs in the absence of the appropriate stimuli for the relevant perception (plato.stanford.edu/entries/mental-imagery/). Whenever we imagine ourselves performing an action in the absence of physical practice, we are said to be using imagery. While most discussions of imagery focus on the visual mode, there exists other modes of experience such as auditory and kinesthetic that are just as important. Begin by establishing a highly specific goal. Imagine the future; you have already achieved your goal. Hold a metal ‘picture’ of it as if it were occurring to you right at that moment. Imagine the scene in as much detail as possible. Engage as many of the five senses as you can in your visualization. Who are you with? Which emotions are you feeling right now? What are you wearing? Is there a smell in the air? What do you hear? What is your environment? Sit with a straight spine when you do this. Practice at night or in the morning (just before/after sleep). Eliminate any doubts, if they come to you. Repeat this practice often. Combine with meditation or an affirmation (e.g. “I am courageous; I am strong”, or to borrow from Ali, “I am the greatest!”). Scientifically, there is ample evidence that visualization can significantly enhance physical skill development and increase performance in many sports. There is even evidence that visualization of weight training can lead to significant gains in muscle mass and strength! Neurologically, visualization invokes many of the same areas of the brain involved in the actual physical manifestation of the skill. Because of this, there are tremendous neural connections that are strengthened during visualization that are transferable to the physical domain. Visualization helps with motivation and inspiration. Put simply, when you imagine something you then remind yourself of how good it will feel to achieve your dreams, and you become more so motivated to strive for them. This motivation allows you to take the steps needed to fulfill your dreams – and feel like fun along the way. 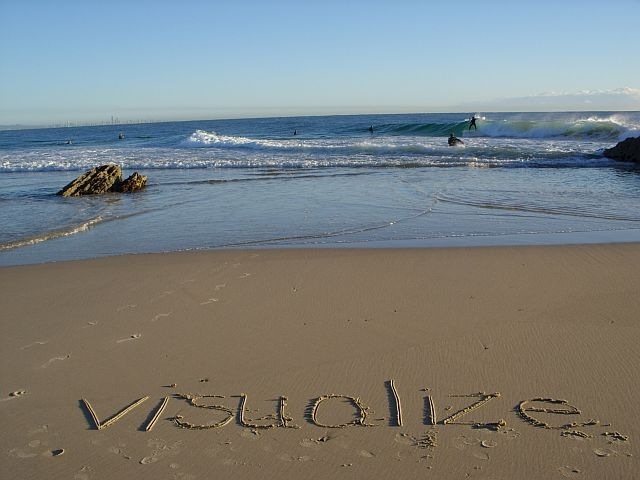 Visualization burns the mental picture, images, feelings and emotions into your subconscious mind – a very powerful tool. Once your subconscious mind latches onto an idea, it begins to work without you. It creates the belief. Your subconscious can effortlessly lead you to your goals, if it has a belief. Beliefs rule our lives. One day we couldn’t do something, the next day we could. One day we believed that we could not, the next day we believed that we could. Visualization helps us believe sooner, and helps us believe when we probably would never do so. And, another thought from Visualization is Power .. but are you willing to use it? Keep is simple at first then graduate to more complex imagery. Go the distance! Visualize yourself doing what’s just out of your physical reach and then watch it manifest on the field – mentally and physically! The most important, in my opinion, attach and use emotions when you visualize! The more positive, strong emotions you have attached to an image or mental picture the better! This is a must! You can see that there is a lot of info on visualization. Therefore I will follow it up with a part 2 soon. Above I’m leaving you with some quick thoughts on how to visualize. Just do it. Spend 5 minutes twice a day. If you can, write it down and them imagine it. If not, just take a moment, get in the right state of mind and visualize. More to come soon. If you like this, please hit “LIKE” ?